I wanted to sit down and write my impressions of the Kindle Fire now that I have had a few days to play with it. Instead, I was shocked to find that Penguin has pulled its Kindle books from the OverDrive system. Last week Penguin sent notice to OverDrive that it is reviewing terms for library lending of their eBooks. In the interim, OverDrive was instructed to suspend availability of new Penguin eBook titles from our library catalog and disable “Get for Kindle” functionality for all Penguin eBooks. We apologize for this abrupt change in terms from this supplier. We are actively working with Penguin on this issue and are hopeful Penguin will agree to restore access to their new titles and Kindle availability as soon as possible. The Digital Shift is reporting that Penguin is saying the new policy is not specific to Kindles, but governs all versions of their ebook titles across the board. Libraries and patrons are telling a different story, however. In an Amazon forum on the subject, some patrons are pointing out that only Kindle versions are disappearing. 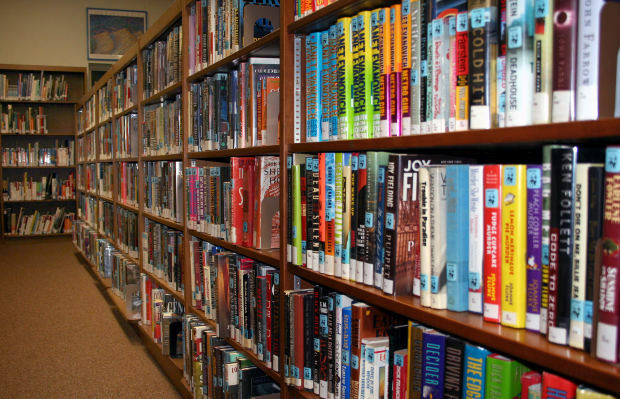 Some libraries have had as many books vanish from their digital shelves. It is important to note that those are books purchased with library funds (generally taxpayer funded). I don’t think that it is coincidental that this is happening when Amazon is trying to start a Kindle Owner’s Lending Library. There has been a lot of tension about ebook lending since Big Six publisher Harper Collins limited libraries to only 26 check-outs of their titles. Many people (myself included) are still boycotting Harper Collins until that limitation is resolved. Penguin has already been facing criticsm over its Book Country “service,” which many authors believe does nothing but take more money from authors. But to single out the popular Kindle smacks not only of fear and greed, but a form of censorship as well. And that’s not something that sets well with me. Sure, I could read books on one of my other devices: I’ve got an iPod, a Nook. I could read any format on one of the apps on my android tablets. But I will not be told which device I have to read their ebooks on. I already boycott MacMillian and Harper Collins because of their practices. I already boycott books priced over $9.99. I will be happy to add Penguin to the list as well. This entry was posted in Borrowing and Lending eBooks, eBook Rights, eBooks, Kindle, Publisher Boycotts, The Book Industry, The eReader of the Future?, Traditional Publishing and tagged Kindle, library, Penguin, Publisher Boycotts. Bookmark the permalink. The contact at Penguin Publishing is Erica Glass, 212-366-2951. Thanks for the info, Deb! I encourage everyone who is concerned about this issue to contact Penguin!